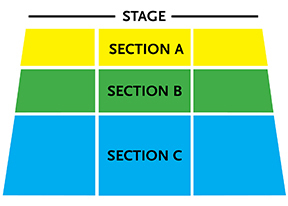 Seating within each section is unassigned and will be available on a first-come, first-served basis. Ticket prices are $10.00 more at the door (plus applicable service fees). Purchase your tickets in advance to secure the best pricing.